Item Code: MOFC-HLC-2266L | | Usually Ships Same Business Day. Item Code: MOFC-HLC-2322L | | Usually Ships Same Business Day. 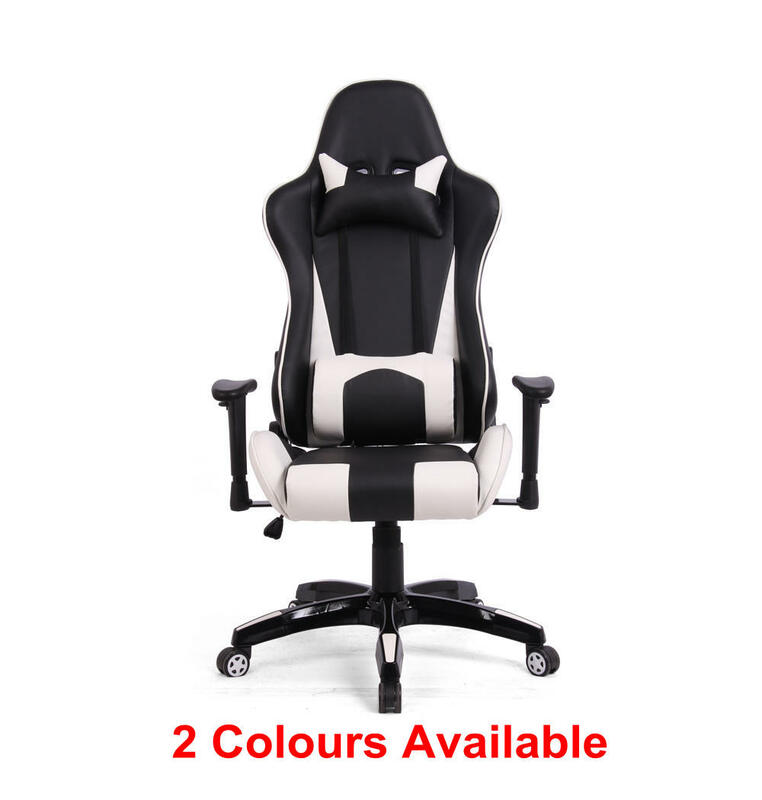 The Moustache® Ergonomic Racing Style PU Leather Gaming Chair is equipped with soft headrest and thickly padded armrest for great comfort. Fitted with heavy duty chair base with durable casters for greater stability. For Home and Office. Supportive chair back reinforcement of one continuous piece provides stability and a streamlined appearance. 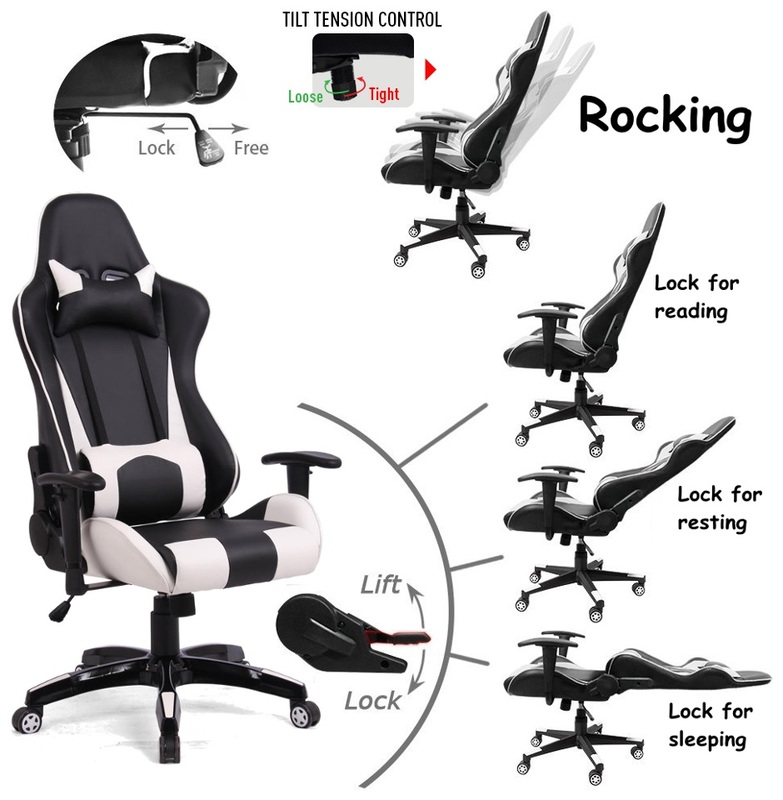 Thick padding focused on pressure points of the headrest and armrests compliments the smooth chair padding throughout, while the soft cushion extends comfort throughout long periods of sitting. Soft headrest and thickly padded armrest for great comfort and expertly sealed in quality fade resistant PU Leather, a material formatted for seamless spot cleaning. Sturdy base offers superb stability you can rely on with silent rolling wheels that have a large diameter, high strength capabilities and a smooth finish to preserve your floor.